We only had 3 days in Budapest the first time I visited the Hungarian capital, back in 2005. But from the moment I first set eyes on it, I knew right away I will want to return to Budapest again and again. So strong was my attraction to Budapest that I convinced my husband we have to buy an apartment there. The city’s stunning architecture, captivating history and memorable food scene totally stole my heart! But although we keep returning every year, I always find it hard to say good-bye to Budapest when we leave. 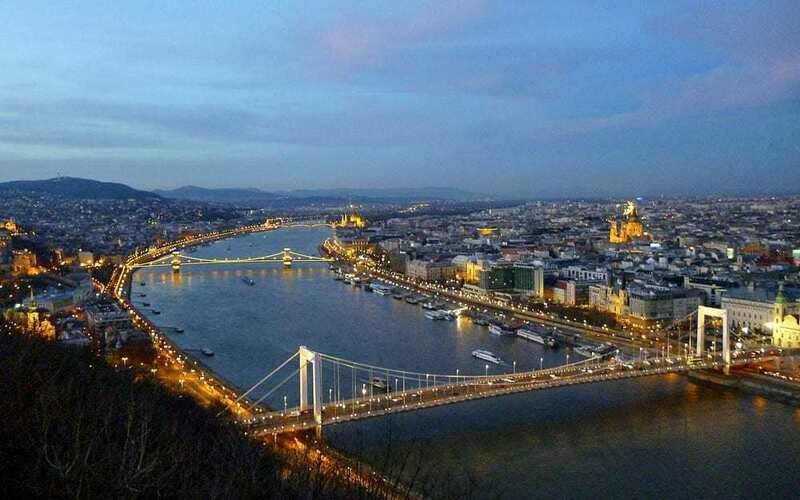 You could easily spend several weeks in Budapest, but most visitors to the city don’t have that luxury. So if you only have 72 hours in Budapest, rest assured that it’s still possible to see the main sights and landmarks in this amount of time. 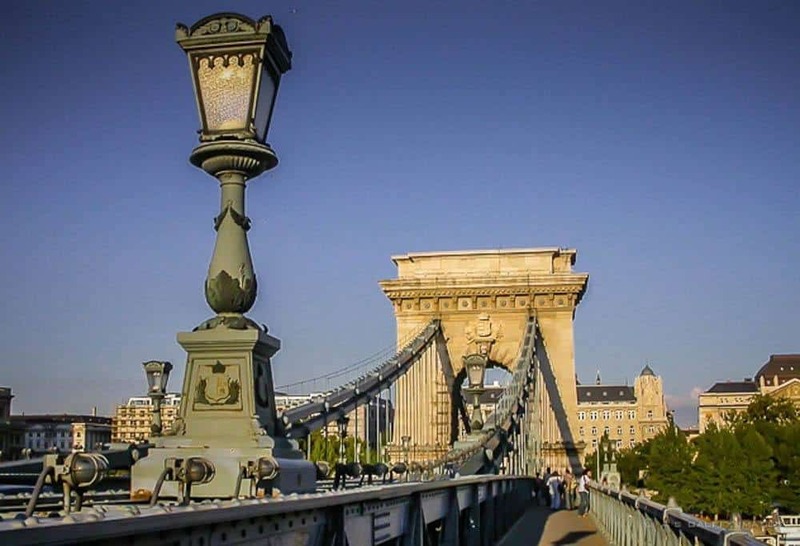 The Budapest itinerary below was designed with that in mind, so follow it with confidence and you’ll have great memories to take home after these 3 days. Budapest makes a perfect travel destination, whether it’s included in a longer European itinerary, or just a short getaway. There is so much to see and do in this city that it’s hard to know where to begin. 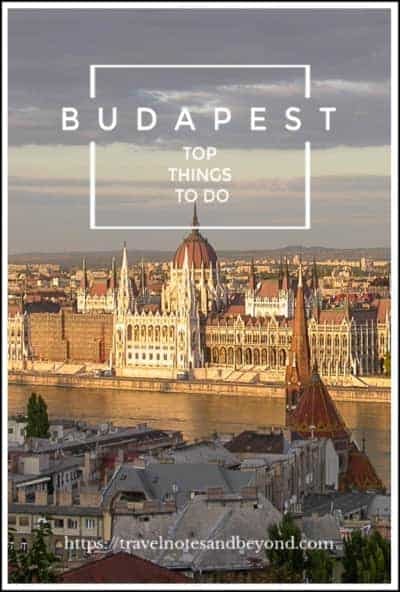 Even though 3 days in Budapest may seem like a short time, it’s actually enough to cover the city’s most talked about locations. 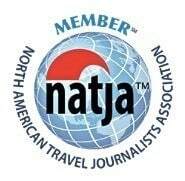 Your Budapest trip will be fun no matter where you start your visit. However, after being to Budapest so many times before, I suggest you start your 3 day itinerary in the Castle District, on the Buda side. 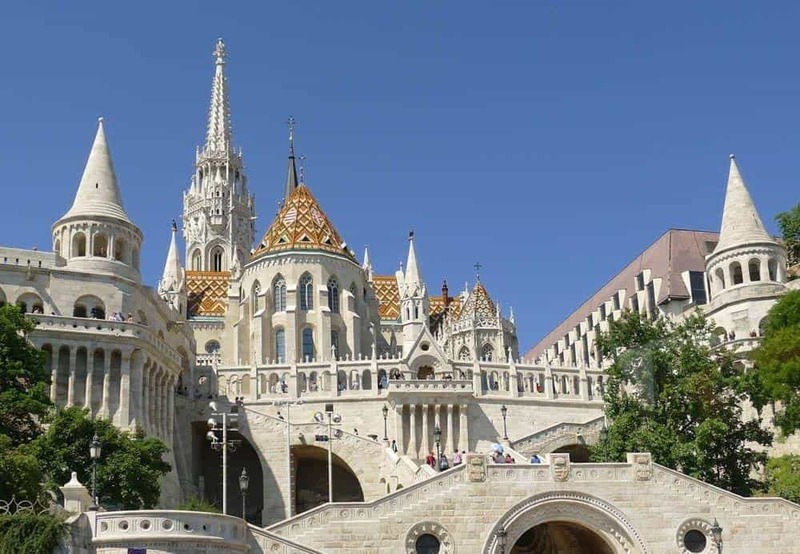 Buda is the old part of the city where you will find most of Budapest Old Town attractions: the Buda Castle, the Fishermen’s Bastion, and Matthias Church. Being perched up on a hill, the Castle District also offers you some of the best views of the entire city and the Danube River. 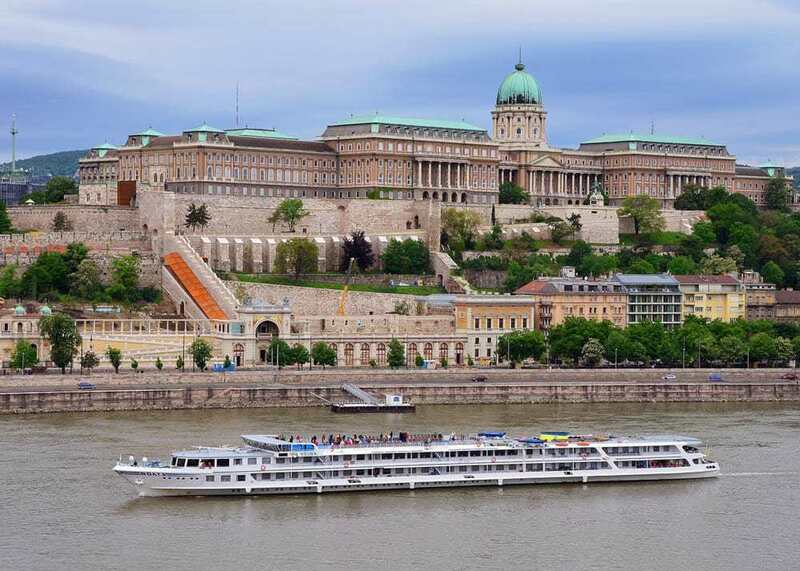 Also known as the Royal Palace, Buda Castle was once the residence of the Hungarian kings. The castle is now home the Hungarian National Gallery, the Budapest History Museum, and the National Széchényi Library. Make sure to take a tour of the Castle and learn about its fascinating history. The National Gallery is also worth visiting, for its beautiful art collection. The Fishermen’s Bastion (Halaszbastya, in Hungarian) is right next to the Buda Castle, in Trinity Square. The easily recognizable terrace of the bastion is one of Budapest most iconic sites. It’s hard not to stand in awe and enchantment with views of the city stretching before you! There is not much to do at the Fisherman’s Bastion, other than take pictures of the city from atop its terrace. If you want to take a coffee break, here is the best place to do it. You won’t find a better view than the one at the Fisherman’s Bastion. Mátyás Templom (Matthias Church) is located in Trinity Square, right next to the bastion. 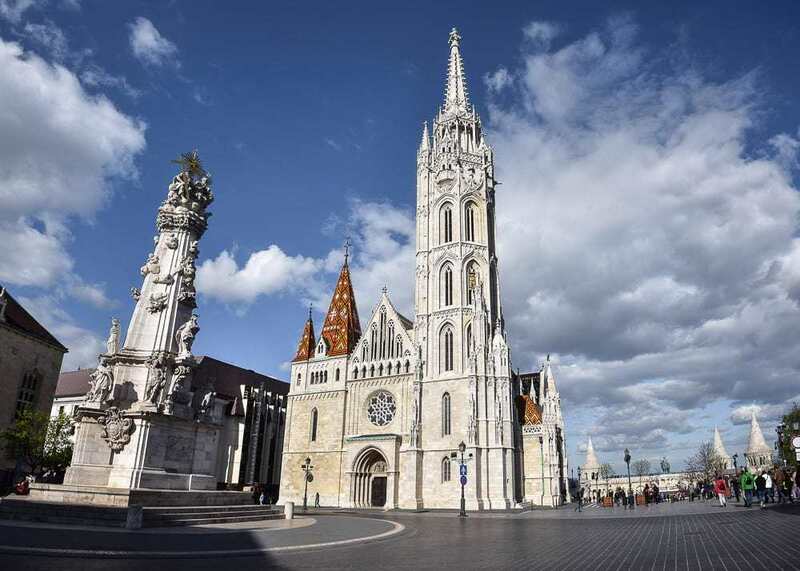 Matthias Church holds a special place in Hungarian history as it was was the coronation church for the Hungarian kings. This church is stunning! From the outside spires and gorgeous roof tiles, to the gorgeously painted interior, you can’t stop admiring the minute details. You need to pay to get inside, but it’s definitely worth it. Make sure you go up to the balcony for a closer look at the stained glass windows and more information about the design of the walls and tiles. The Budavari Labirintus is another interesting attraction in this area. The Labyrinth is a complex of caves and cellars that were created a long time ago as an effect of the hot water springs. Throughout the centuries, Budavari Labyrinths had many functions. It served as a shelter for the prehistoric men, a prison during medieval times and a hospital during World War II. In 2011 the Labyrinth was suddenly closed. The police reportedly stormed the caves and evacuated large numbers of tourists without any explanation. They reopened the Labyrinth a few years later, but not as it was before. Most of the case are not accessible to the public anymore. Today visitors have access only to two of the caves. 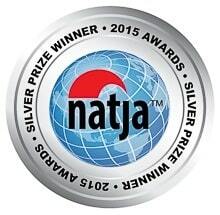 If you are interested in reading more about this story, you should refer to their official website. Budapest City Centre, or the downtown (Belváros) is where the business life of the city takes place. This is where you will find the banks and official institutions, the theaters and concert halls, and most restaurants. This is also where many of the important churches and historical sights are located. 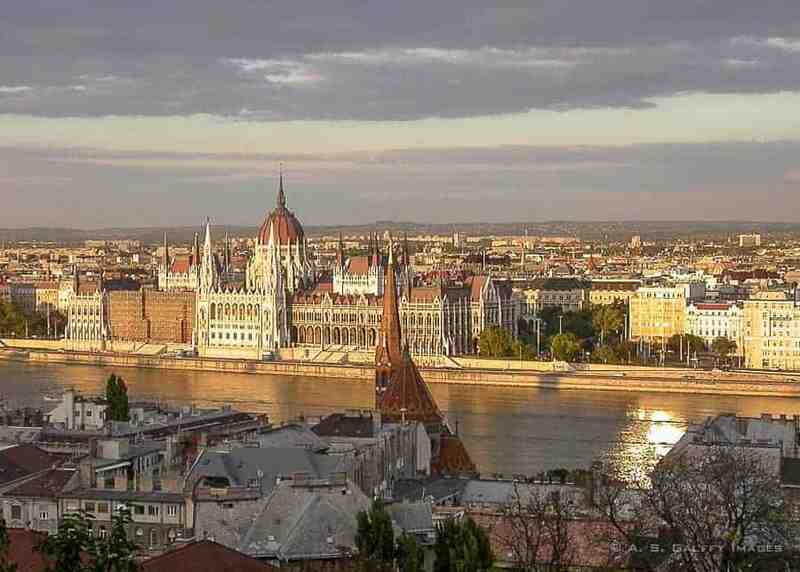 This second day of your Budapest itinerary is going to be the busiest, as on this side of town are many important attractions that you shouldn’t miss. 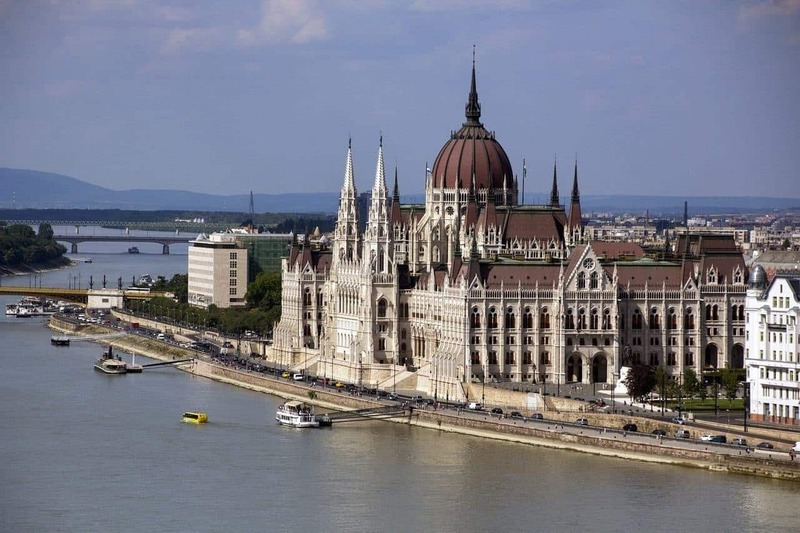 You should start your second day in Budapest with a visit at Budapest’s most beloved landmark: the Hungarian Parliament. The Neo-Gothic style building was completed in 1902 and it is currently the largest and tallest building in Budapest. The main façade faces the Danube River, while the entrance is from the Kossuth Lajos square. The interior of the building is as impressive as the exterior. Everywhere you look, you see carved wood work, stained glass, and grandiose marble staircases. The Parliament is home to the crown jewels and the Holy Crown of Hungary, which is on display in the central domed hall since January, 2000. There are guided tours in several languages when the National Assembly is not in session. The lines for visiting the Parliament are extremely long, especially during the summer months. Tours fill up very quickly, so you may have the surprise of not being able to get in after standing in line for over an hour. I strongly encourage you to book a tour in advance. Szent István Bazilika, as it is called in Hungarian, is just a short walk away from the Parliament. The church was erected in 1905 and was named in honor of King Stephen I, the first king of Hungary. This the city’s largest and most impressive church (it can hold 8,500 people). It is absolutely HUGE and really beautiful! The church gates are equally magnificent. Below the cupola there is a rich collection of late-19th-century Hungarian art: mosaics, altarpieces, and statues.The marble used in the construction is all from Hungary, except for Kins Stephen’s white statue in the sanctuary. There is an elevator leading to the bell tower from where you have panoramic view of Budapest. The bell tower is open from April to October. There are guided tours of the chapel and the treasury, but during the worship services the entrance is free. 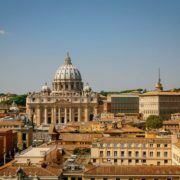 The basilica is also very famous for its wonderful classical music concerts. If you are a classical music lover, you should try to attend one while in Budapest. In front of the entrance there is a beautifully paved square lined up with elegant restaurants and cafés. You can stop here for lunch or for a coffee break. Hidden behind the tall buildings on Dohany Street is the largest and most famous synagogue in all of Europe. 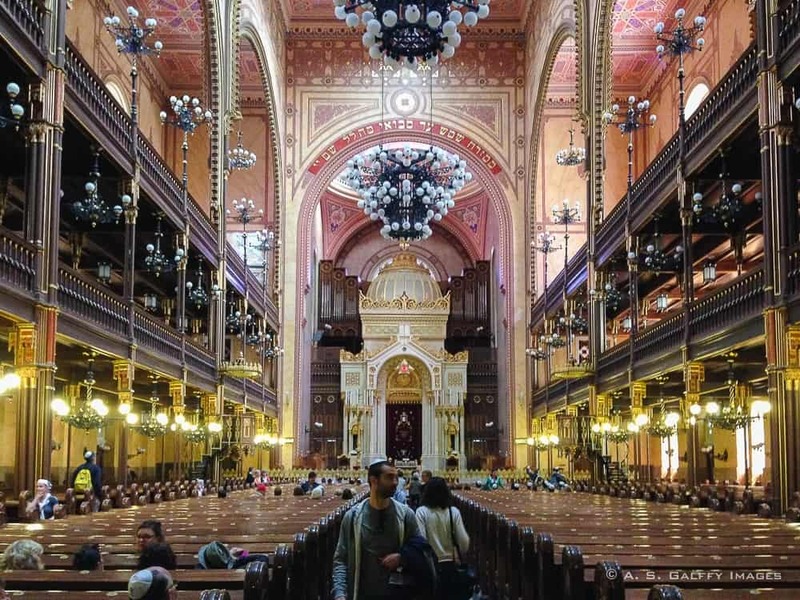 The Great Synagogue in Budapest is not your typical Jewish temple. The onion shaped domes with gilded ornaments make it look like an oriental, Moorish building. If you ever visited a synagogue you probably remember they are generally quite simple and austere places of worship. But not this one. On top of the synagogues you can see the stone tablets with the ten commandments and above the main entrance gate the inscription in Hebrew: “And let them make Me a sanctuary that I may dwell among them” (Exodus 25,8). Inside the synagogue men have to wear a small skullcap called kipah or yarmulke (handed out at the entrance) and women have to have their shoulders covered. 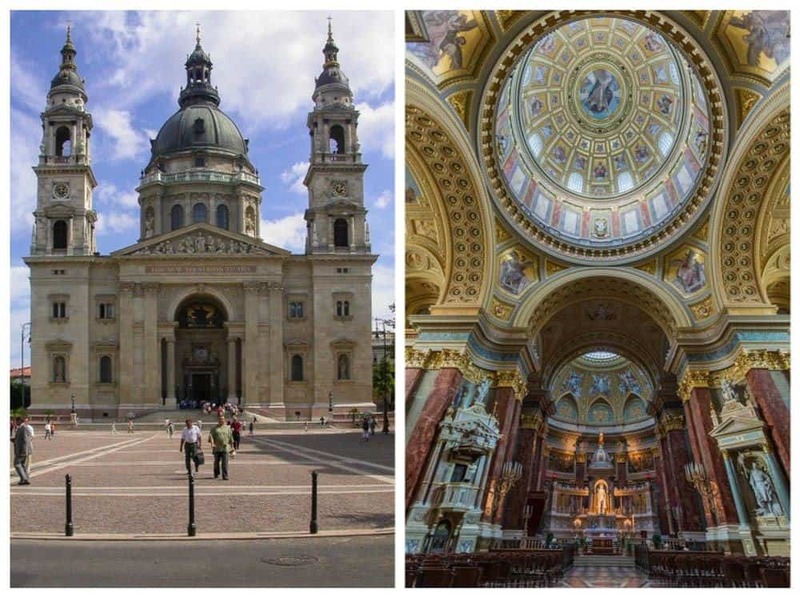 To get there from St. Stephen Basilica you can simply walk for 10-15 minutes. To reach the Synagogue from anywhere else in Budapest take Metro Line M2 and get off at Astoria station. Adjacent to the synagogue is the Jewish Museum which you can visit together with the synagogue. The museum features Jewish traditions, costumes, as well as a detailed history of the Hungarian Jews. Guided tours of the synagogue and the museum are available in several languages and I encourage you to book one. 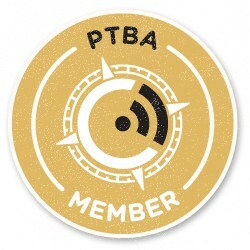 They are very informative and even entertaining. 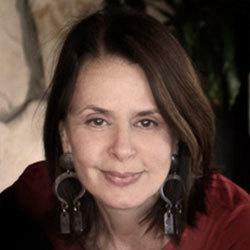 You’ll hear amusing stories and get some insight into Judaism. 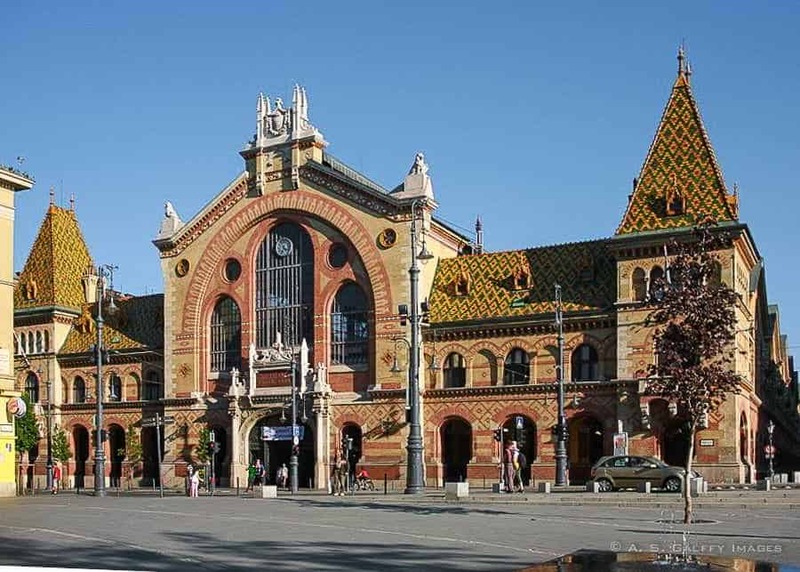 Whether you have 1, 2, or 3 days in Budapest, visiting Nagy Vásárcsarnok (the Great Market Hall) is a must. The market is famous for its great variety of local foods. From fresh produce, to fish, smoked sausages, cold cuts and home-made baked goods, you can find everything your heart desires here! I don’t really care to shop for food while I am on vacation, but I can’t resist the urge to drop by the Great Market Hall every time I come to Budapest. Just step into the Great Market Hall on any day of the week and you’ll understand why locals and tourists are crowding the building just alike. From the moment you step in, the smell of freshly baked strudels and cakes starts tickling your nose. Just the sight of all the fresh produce and meats in the stalls will make your stomach growl. It’s hard to resist the impulse to try some of the local delicacies, such as the creamy Dobos cake, pink foie gras (goose liver), or the red spicy Hungarian sausages! On the second floor of the market are the stand-up counters serving some of the traditional Hungarian dishes and wines. This is the best place to try the famous lángos freshly fried before your very eyes. And while you are on the second floor, check out the booths that specialize in local arts and crafts. In the basement there is a fish market, a small Asian grocery store, and a supermarket. 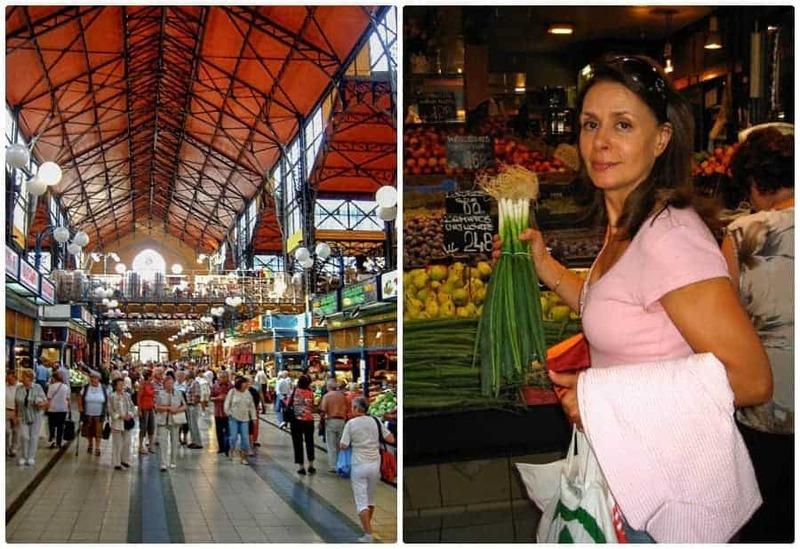 When planning your visit, keep in mind that Budapest markets are not open on Sundays. If you want to avoid the crowds, don’t go early in the morning or on Saturdays, when the locals go shopping. Right across from the Great Market Hall starts the famous Vaci Street. This long pedestrian street lined up with fancy boutiques, souvenir shops and mediocre restaurants is one of the most picturesque places in Budapest. 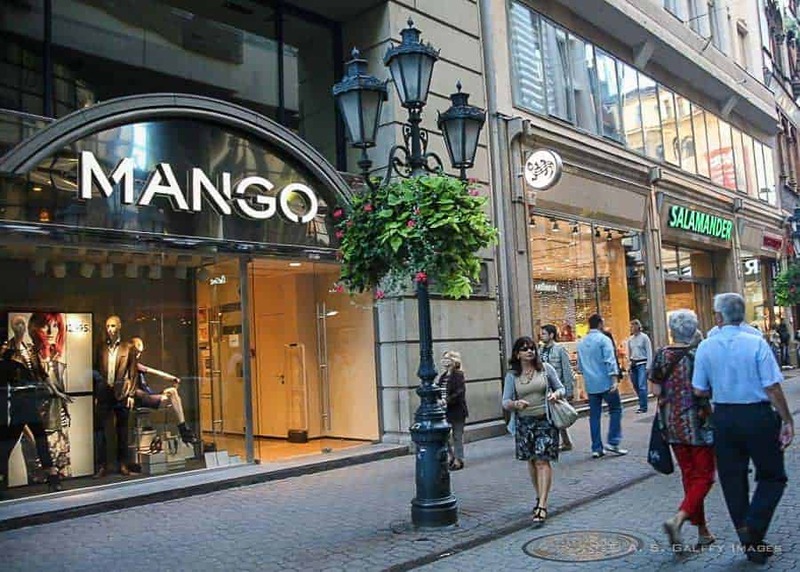 So, after satisfying your cravings at the Great Market Hall, you can head down Vaci Utca for some shopping. At the opposite end of Vaci Street you’ll end up in the elegant Vörösmarty Square, where you can stop for a cup of the delicious Sissy Cave at the famous Gerbeaud Café. For your last day in Budapest I suggest visiting the upper part of the city. 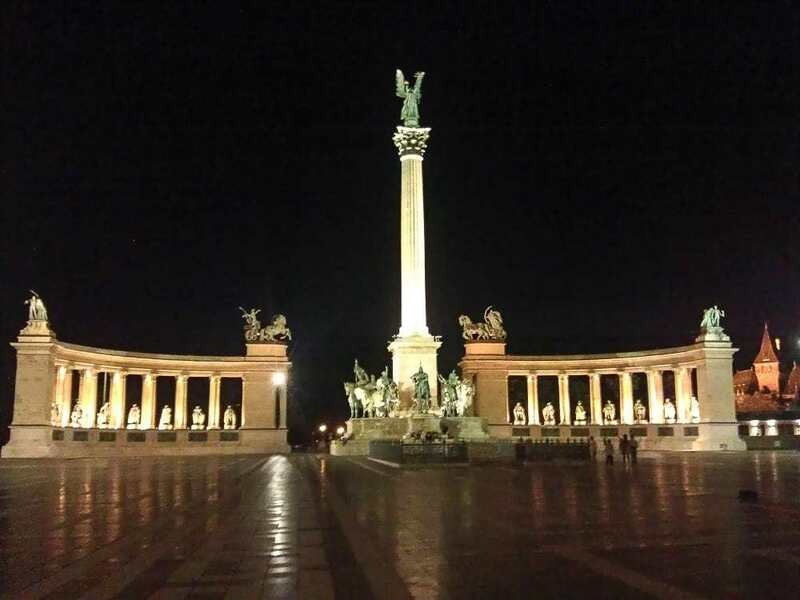 Start your day in Heroes’ Square, which is situated between the Museum of Art, City Park and the Hall of Art, the Heroes’ Square is dominated by the Millennium Monument which features statues of the seven tribal leaders who founded Hungary in the 9th century. Just a few steps away from the Heroes’ Square you’ll find the Citi Park. 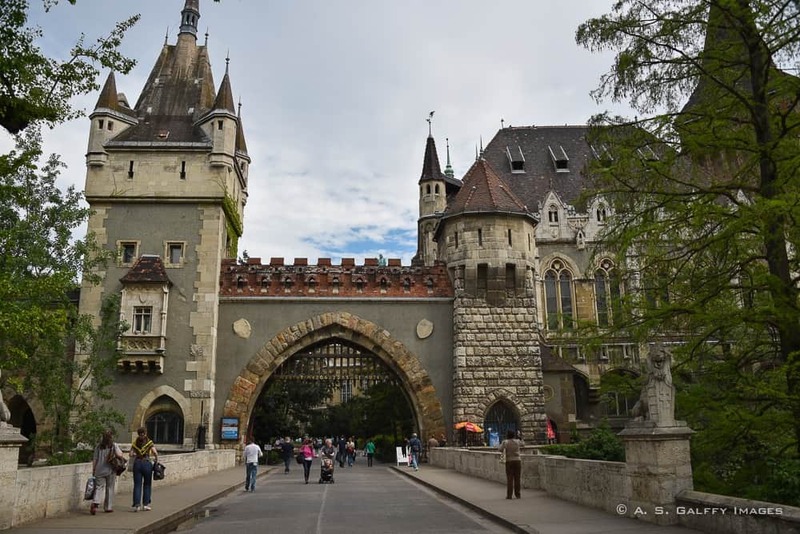 The park is home to the fairytale Vajdahunyad Castle. Vajdahunyad is not a real castle, but a collection of replicas of the most famous medieval buildings in Hungary and Transylvania. In summer and fall there are music festivals and various gastronomic events on the castle grounds. 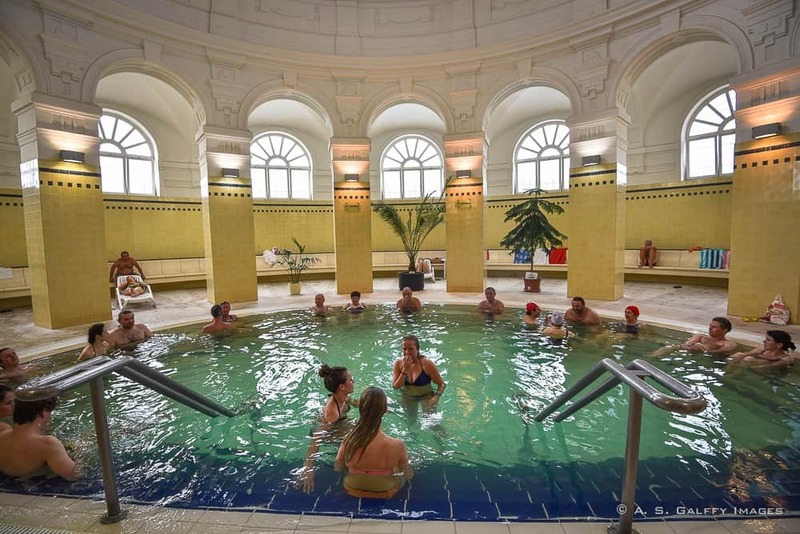 In the afternoon, you can stop at Szechenyi Baths to experience Budapest’s oldest and most popular thermal bath. Its 18 pools are open every single day throughout the year. The Bath features both outdoor and indoor geothermal pools, saunas, a gym and massage therapy. The admission fee as well as the treatments are very affordable, so indulge in a few hours of relaxation. 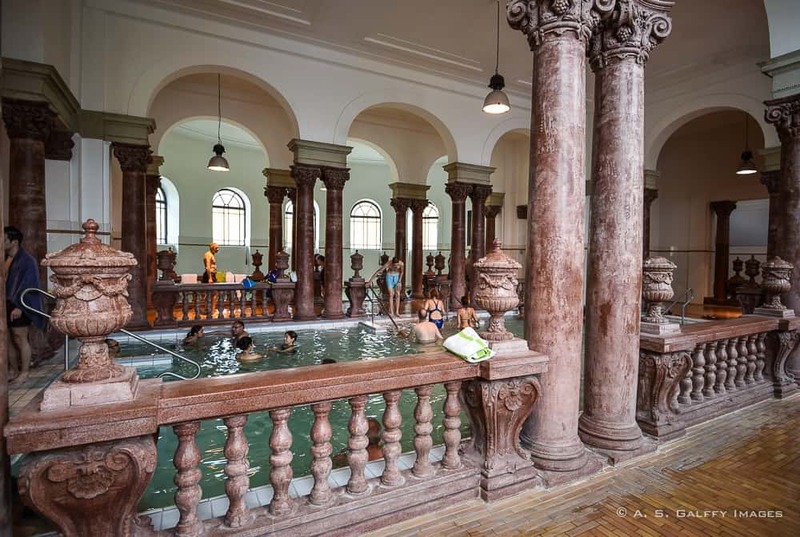 The ornate architecture and interiors of Szecheni Baths is worth a visit even if you don’t plan to swim. During summer and fall, every Saturday night the bath stays open till 3 a.m. for a pool party. 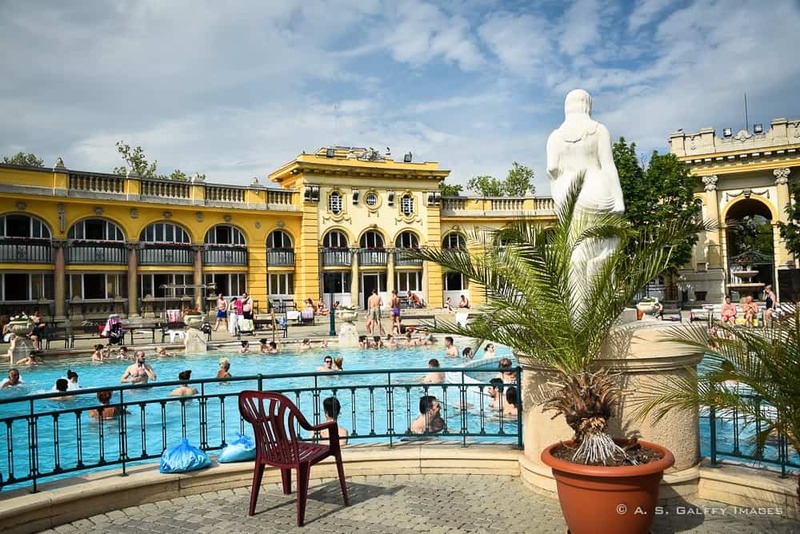 Szechenyi is open from 6 a.m. to 10 p.m. everyday, year-round. The baths can reach by using the yellow metro line (M1) to Heroes Square. The entrance fee is around 4,300 HUF ($15.00); entrance fee with a locker is 4,800 HUF ($17.00) (fees are slightly lower during the week days). Towels are NOT provided, so you should bring your own towel or buy one in the lobby. Each pool, sauna and steam bath has a sign showing the temperature. Close your Budapest itinerary with dinner at Bagolyvár (the Owl’s Castle). This is one of the best restaurants in Budapest if you want to try authentic, Hungarian food. 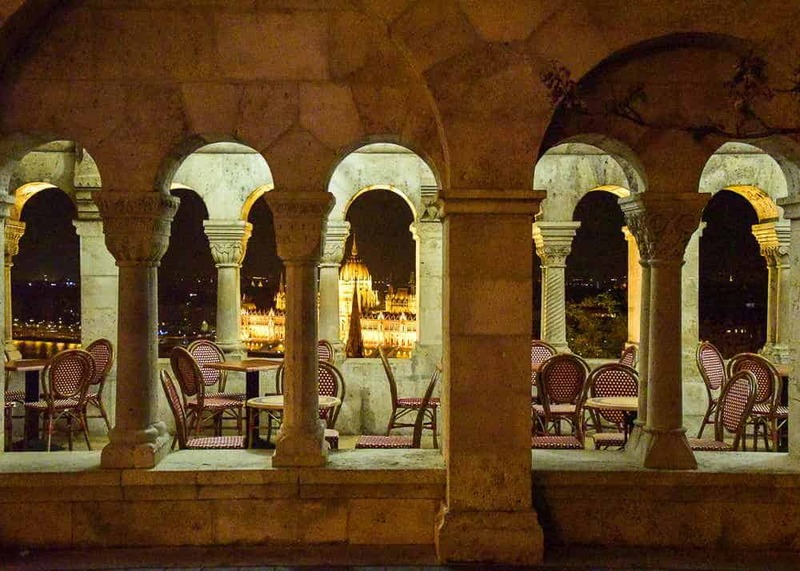 The Owl’s Castle has the same owner and shares a kitchen with the famous Gundel Etterem. That is a guarantee of the quality of food, but the prices at Bagolyvár are way more reasonable. There are many places where you can stay in Budapest. 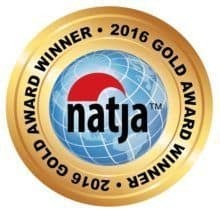 From very reasonably priced apartments, to bed-and-breakfasts, hotel rooms, and hostels, there are accommodations for every taste and budget. 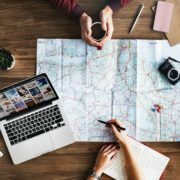 To find the best deal and compare prices you should check TripAdvisor, which is also a good source if you want to read what other travelers have to say about these places. 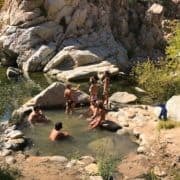 Another good option to keep in mind is VRBO – Vacation Rentals By Owner, also a great resource for affordable accommodations. Oh, Michele, you definitely have to accompany your husband on one of these trips to Budapest. I'm sure you'll have a blast there. I visited Budapest when it was under communist rule. Your photos remind me of my visit and the grandeur of the city. It's been a long time since then, Rhonda. Budapest has changed a lot. For the better. About once a year, Tricia. Did you get my email? I tried contacting you on your contact page. Anda, it may sound strange but Temple and Bath are going to be my priorities when I travel to Budapest one day:) Thanks for all the tips and highlights. Thank YOU, Victoria. I hope you'll get to visit Budapest one day. I can guarantee you'll fall in love with this place too. Thanks for your comment, Tricia. I'm actually from Bucharest, but I feel more attached to Transylvania (the north-western part of the country) because of the many friends and family I have there. I went to Hero's Square a few years ago. It was an incredible experience.